Survey says: Renewed! At today’s TCA winter press tour, ABC announced it is renewing Celebrity Family Feud for a second season. Much like regular Family Feud, this game show pits celebrities and their families against each other. Hosted by Steve Harvey (who also hosts the regular Family Feud game show), Celebrity Family Feud is executive produced by Thom Beers, Gaby Johnston, and Jennifer Mullin. “Celebrity Family Feud proved to be a hit with audiences and a natural extension of what is one of FremantleMedia’s strongest television properties, Family Feud. It’s a fun show to make, it’s a fun show to watch, and with the magic of Steve Harvey and our great partners at ABC, we couldn’t be more excited to be returning for another season,” said Jennifer Mullin, co-CEO of FremantleMedia North America, which produces the show. What do you think? 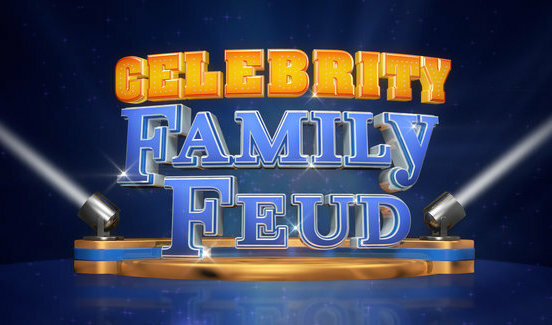 Are you a fan of the Celebrity Family Feud TV show? Do you plan to watch the second season? More about: Celebrity Family Feud (2015), Celebrity Family Feud (2015): canceled or renewed? A second season? There must be a mistake. Don’t they mean a third season? Because season one was on NBC in 2008 and season two was last year. I mean, Celebrity Family Feud was revived for a second season by ABC last year. So, that should be season three. It’s season two because the NBC version is considered a different show. According to Wikipedia, season two was last year. ABC airs it and they say season one was last year. Their press release says they just renewed it for a second season so that’s the numbering we’re using.